Last year I handmade every single gift that we gave as a family. It was a lot of work, but I enjoyed every minute of it. So for me it has kinda become a bit of a tradition that I would like to continue, maybe not at the same scale as last year (8 lap quilts, 3 mini quilts, and 4 or 5 totes of varying size), as I have two girls to care for and a house to keep. Since I started quilting I have not made a quilt specifically for my husband. I have made for my girls, my family, friends, and even myself. But my poor hubby has been left out. So for Christmas this year he is getting a quilt. Of course this means I have to be sneaky about sewing. Hoping the girls can entertain themselves every now and then so I can sneak in a little more sewing time. 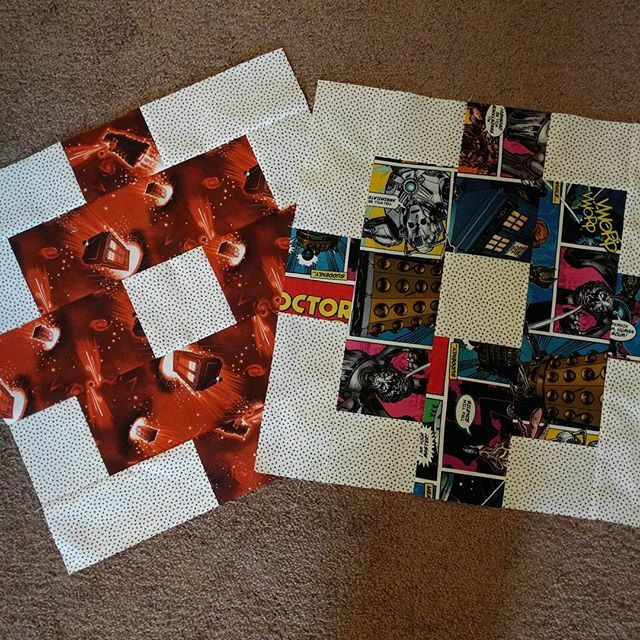 Well I started today and have completed 3 of the 12 blocks needed for his quilt. And I have block 4 cut out and ready to be sewn together. I'm hoping to have the quilt top done before Thanksgiving. It's going to be awesome. Where did the Dr Who fabric come from? It's perfect! Thanks! I found all the prints from JoAnn's. 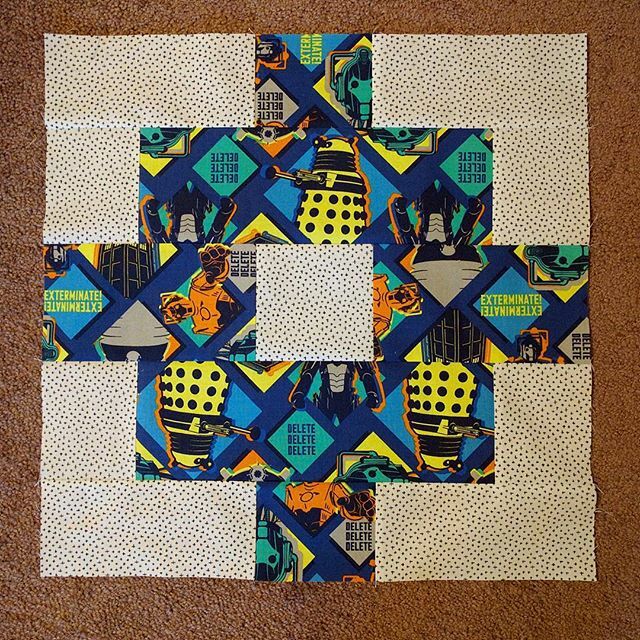 Just found your blog through Freshly Pieced - I love this Dr Who Block! Went back and read your blog - I love the idea "Quilt the Book"! You are very talented - also love your choices in fabric!